Home / Business / Has Careem launched a rickshaw service in Karachi? Has ride-hailing company Careem launched a rickshaw service in Karachi? The rickshaw ride option on the Careem app is something we haven’t seen before. Reports circulating on social media kickstarted speculation that a rickshaw ride service may be in the works. 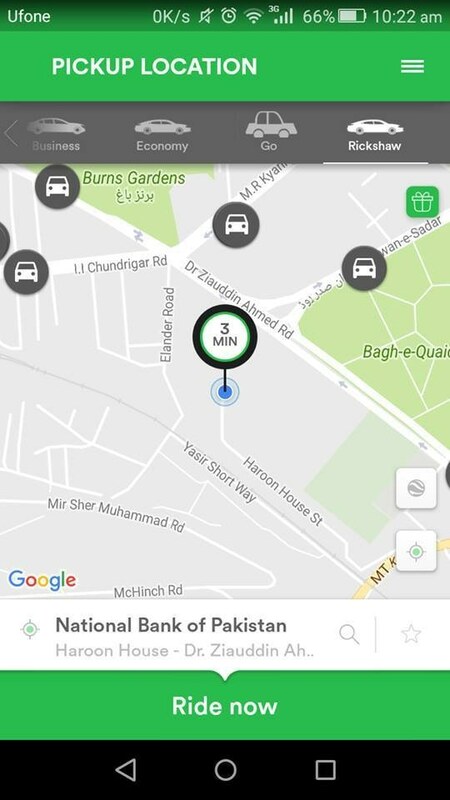 Dawn.com on Monday also found a rickshaw option among other ride options available ─ Wifi Cars, Business, and Economy ─ on the Careem app interface. The development comes days after rival company Uber launched its rickshaw-hailing service, uberAUTO, in Karachi. When contacted, however, Careem declined to comment on the matter at this time. There has been no official announcement from the company regarding the development either. Careem entered the Pakistani market last year, launching its services in Karachi, Lahore and later Islamabad. Within only a few months of their launch, mobile app-based car-hailing services Careem and Uber both became favoured modes of intracity travel for thousands of urban Pakistanis, especially women.